A beautiful home is a sanctuary where you live serenely. It should be aesthetically designed to be functional and accessible as well. If you want to renovate your home from a new perspective, you need the support and expertise of a professional contractor. Miami Best Contractor extends its years of experience and specialization in home remodeling in Miami and Fort Lauderdale, Florida to suffice your aspirations. At Miami Best Contractor, we are the complete renovators offering end-to-end solutions for the homeowners looking to redesign their spaces. As such, we can remodel any type of home with precision even without exceeding your budget. We will help in the remodeling of every level in your home. With our space planning solutions, we can open up plenty of spaces in your home for a balanced and sustained living. When you are contemplating an entirely different look for your entire home, remodeling is the best solution for you. Without excessive tearing and rebuilding, we can change the look and feel of your home. In a complete makeover, there is no requirement to match the design with the existing architectural features. 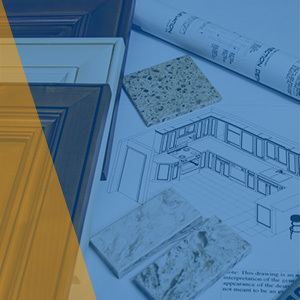 We understand that you make many adjustments during the complete home remodeling. You may be required to leave the house and shift to a temporary residence. This helps in a seamless completion of the remodeling process. When you move out with your family, there is no need to restore the workplace to a livable environment on each day. he strict timelines without compromising the quality. Throughout the remodeling process, we will handle the cleanups and debris removal. The modern home remodeling is an extensive procedure that involves initial planning, layout designing, material procurement, and construction management. We are experts in managing it all with extreme efficiency and incomparable work ethics. You can check out our earlier projects and call us for a free consultation on every aspect of your home remodeling and contracting needs.